Newcastle don’t draw many games under Rafa Benitez this season and in fact we have only one official draw in our 26 matches – the 1-1 draw at Aston Villa when Villa equalized in the last minute to make it 1-1. We finished 0-0 after 90 minutes and 1-1 after extra time at Hull City in the League Cup but lost the penalty shoot out 3-1 and all other games have been either wins or losses – 25 wins and 5 losses. 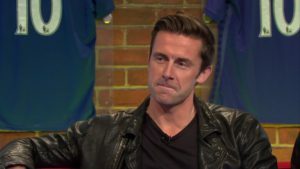 So it’s strange that Sky Sports pundit David Prutton predicts a 2-2 draw against Sheffield Wednesday tomorrow night at St. James’ Park. David also thinks that Brighton will have a clean sheet against QPR at home on Tuesday afternoon and win 2-0 so they will then be one point ahead of Newcastle if those results hold. Only drawing at home and conceding two goals tomorrow night would not be a good result for Newcastle in front of a sold-out crowd of over 52,000 at St. James’ Park – so we hope Prutton’s predictions are way off. How Will Newcastle Fare Against Sheffield Wednesday? Next Post Can Newcastle Make It 4 Wins In A Row Against The Owls? Great blog Ed. Have a Happy Christmas. Merry Christmas, everybody & a big thank you to Ed for all the good work.